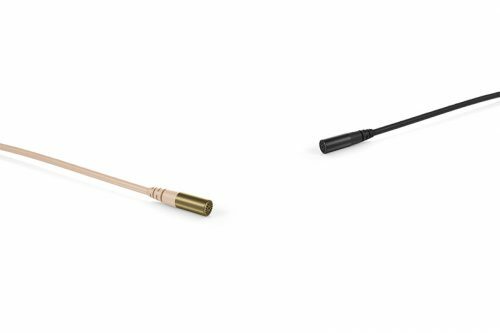 d:screet™ 6060 CORE Subminiature Microphones are just 3 mm (1.2 in) in size but pack the audio power of our larger, award-winning DPA mics. What they lack in size, they more than make up for in clarity, consistency and durability – three qualities that really matter. By shrinking CORE by DPA technology, you can be ensured you don’t have to compromise on sound to focus on aesthetics. Now they’ve taken the amazing CORE technology and shrunk it down to fit into our 3 mm (1.2 in) subminiature mics. This means that, despite their small size, the performance of the d:screet™ 6060 CORE Subminiature Series is fully comparable to the 5 mm (2.1 in) miniature capsules that are beloved around the globe. These subminiatures have a lower noise floor than any other 3 mm (1.2 in) capsule on the market and they are better able to capture high sound pressure levels without distortion as well. In terms of technical specifications, the d:screet™ 6061 has a noise floor of only 26 dB(A), which is on par with the 5 mm (2.1 in) DPA miniature capsules. 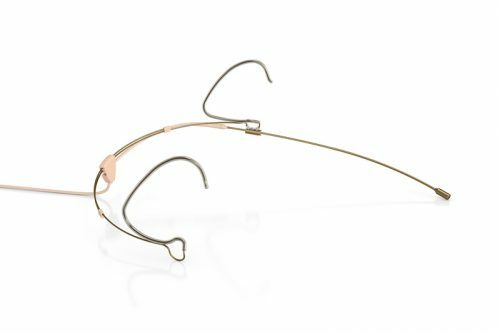 This tiny capsule has a cap that can be removed for cleaning and should be firmly reattached to the mic body with a firm click that can both be felt and heard. The supplied cap corresponds in its nature to the low-boost grid of our 5 mm (2.1 in) versions. Both the mic itself plus the cap are made of stainless steel and treated with a Physical vapor deposition (PVD) coating that makes it extremely durable: able to tolerate high temperatures, resilient against impacts and resistant to abrasion. The entire mic has a pleasant matte look due to the coating making the entire headset look smaller and less obtrusive. The cable is often the weak spot on these types of mics, but DPA has opted to use the same size cable (Ø 1.6 mm (.06 in)) and the same rugged cable relief as on our 5 mm (2.1 in) mics. The cables are extremely durable, do not become entangled and are equipped with an inner core made of Kevlar that withstands rough pulls. A strain relief is integrated in the mic housing to strengthen the assembly. The cable and capsule design ensure immunity to noisy wireless devices. These mics are typically connected to a wireless belt pack and we offer a comprehensive mix of adapters to suit the many wireless transmitters available. 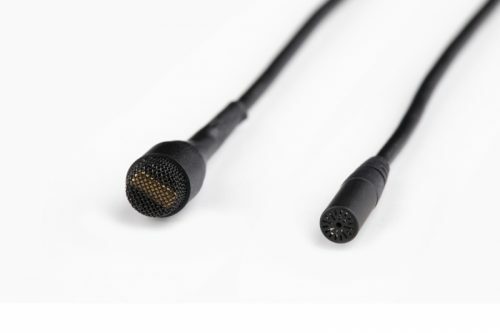 When used with an adapter, the connector is our MicroDot but DPA also offers hardwired terminations to suit the most popular systems from manufactures such as Shure and Sennheiser. All of our connectors are equipped with a rugged strain relief. 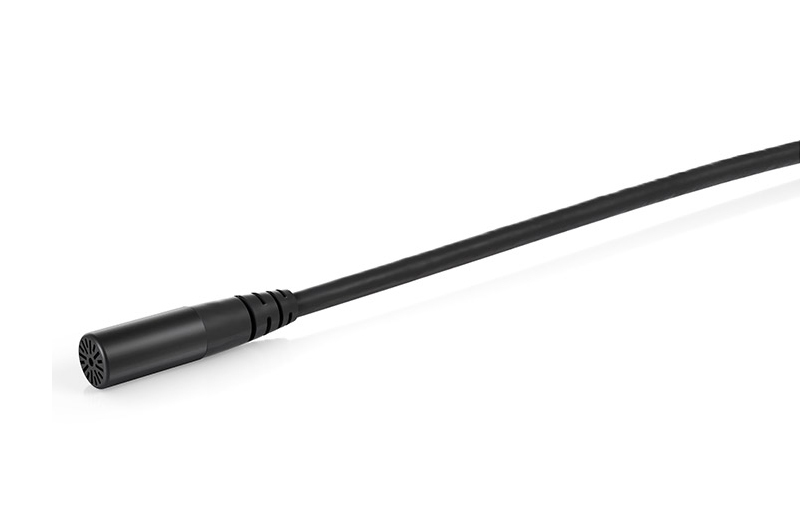 It’s the only 3 mm (1.2 in) mic that gives you the DPA sonic quality that you know and love. When used as a lavalier, a special rotatable clip is available. The 360° clip can be mounted in eight positions, chosen in 45° incremental steps. This makes it very easy to change from women’s’ to men’s’ shirts (left to right buttoned) or even t-shirts and the like where the neckline is used. Sometimes, omnidirectional microphones are not the first type an audio engineer thinks of when it comes to live performances with a huge PA system amplifying the voice pick-up from an actor. 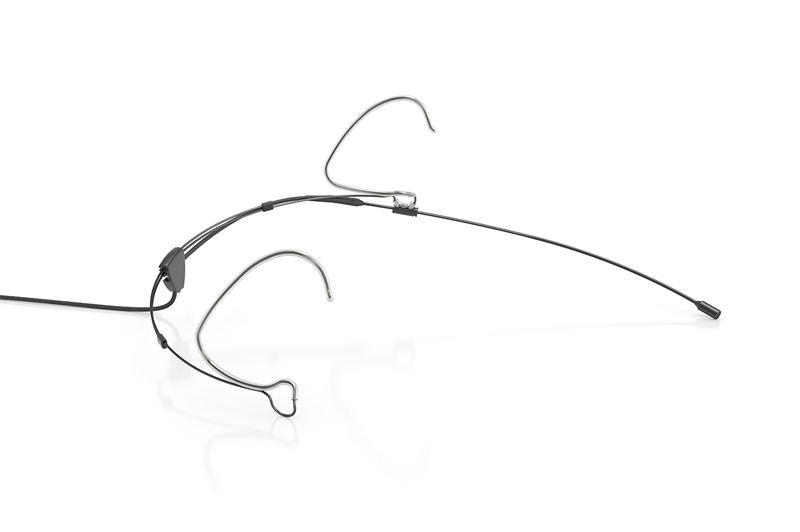 Yet due to the short distance to the sound source (using a hidden bodyworn or headset), very high levels can be obtained with DPA omnis without feedback issues. These mics can be heard on many (very loud) theatre stages, for example on London’s West End and Broadway. The adapters for wireless systems give you flexible, simple and affordable possibilities. You are no longer bound to one wireless system. As circumstances change, you can just switch your adapter, instead of incurring the cost of a completely new microphone. When you make the switch, you won’t hear any loss or change in sound quality.